Contact Derrick Bodfish to discuss your requirements. "DGB Masonry provides specialist building services for conservation and restoration of buildings." 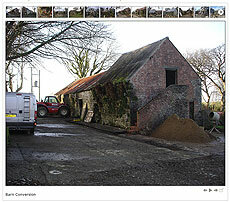 Specialising in the sympathetic repair of traditional, heritage and listed buildings in West Wales. See our galleries of previous work. Click the picture above to open the galleries page.